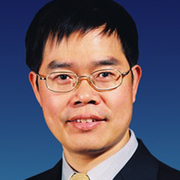 Dr. Hui-Ming Cheng received his PhD in 1992 at the Institute of Metal Research, Chinese Academy of Sciences. Since 1990 he had been working at AIST and Nangasaki University, Japan before joining the Institute of Metal Research, (IMR CAS). Prof. Cheng began his career as a Guest Researcher at Kyushu Industrial Research Institute, Agency of Industrial Science and Technology, Japan,in 1990; then he was employed as a Research Associate in the Dept. of Materials Sci. and Eng., Faculty of Eng. at Nagasaki Univ., Japan, in 1992, and then took an associate professor position at IMR CAS in 1993. He is currently the director and professor of the Advanced Carbon Division, Shenyang National Laboratory for Materials Science, Institute of Metal Research, CAS, China. His research interests focus on advanced carbon materials and new energy materials. Prof. Cheng is mainly working on carbon nanotubes (CNTs) and graphene, new energy materials and high-performance carbon materials. He authored or co-authored more than 300 peer-reviewed papers which have been cited for more than 8000 times. For his scientific achievements, he was awarded a number of national and international prizes, such as the 2nd class National Award in Natural Science, Ryukiti Hashiguti Award, Khwarizmi Award, Chareles E. Pettinos Award, etc. Prof. Cheng has already supervised more than 30 Ph.D students, given more than 40 invited talks on international and national conferences and symposia, and is Editor of Carbon since 2000 and Editor-in-Chief of New Carbon Materials since 1998. Prof. Cheng takes a leading role in carbon materials research in China.